We just received a big truck load of timber from the Melbourne Docklands Boardwalk demolition. 3x3 (75 x 75mm) Spotted Gum in great long lengths - quite a rare batch. 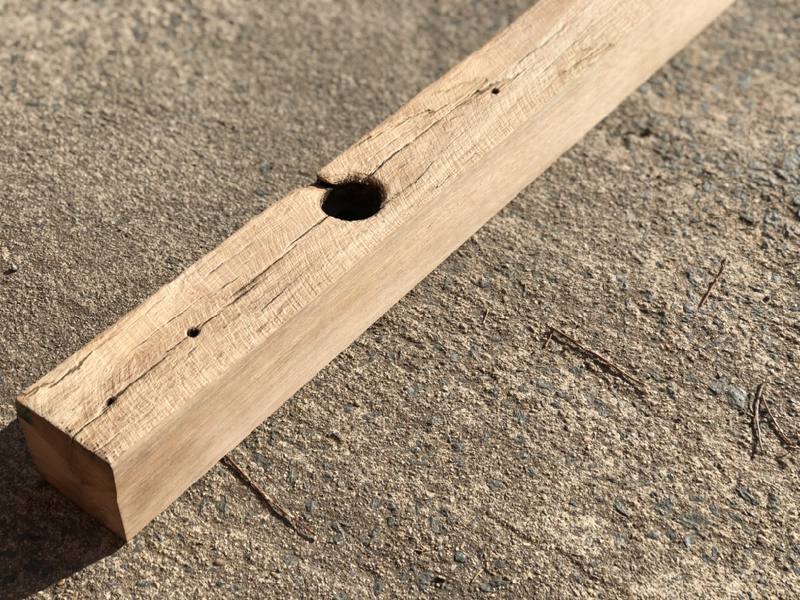 A really unique size with lots of character, and interesting bolt holes. These would be perfect for pergola rafters or batten screening indoors or out. They come up beautifully when dressed so would be great leg stock for furniture makers or nice thick bench top material. We tested out our ground and brushed finish on a sample piece and also a dressed clean finish - both great results.